PRODUCTION ARTS: Theatre, Film and Media course pathway – CAPA College (Creative and Performing Arts College)…excellence in Arts training & education. The vocational focus of the BTEC qualification means that all work and performance opportunities (including all ongoing participation in classes and rehearsals) are assessed. At the end of the course, students will be awarded an overall grade according to the combined total of all the individual units. 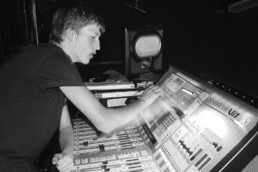 Control at Rose Bruford College of Theatre and Performance.